Soon the presents will be opened. The feast will be devoured. But before all of that happens and you kick back on the couch, family on your last nerve, in a food coma, with a sea of wrapping paper and wonderful new items around you; do you remember what the day was even about?! I know it’s easy for me to get caught up in all of the shopping, crowds, Christmas decorations, and stress. Then on Christmas morning I find myself focusing on the crack of dawn wake up call from my kids, never-ending cooking, and the necessity to photograph EVERYTHING. Sure I know what Christmas is all about, but it seems that up until Christmas Eve and then after, all of that flies out the window. Are you the same way? So how do you keep your heart focused on God’s gift to mankind before and after Christmas? My favorite Christmas Carol, hands down, is O Holy Night. This song makes me bawl like a baby. Why? Because every time I hear the words, I’m forced to see the depravity of our sinful selves and stand in awe of our Savior’s love. You see we were stuck in sin, a life that led only to death and destruction. But God looked down and because of His love for us, offered a way for use to have hope. Hope in Him. We celebrate Christmas because of the birth of Jesus. On that day a couple thousand years ago, hope was born. Born with a sweet baby in a manger sent ultimately as a sacrifice for our sins. Without this one tiny little detail we would still be stuck in a life wanting, seeking, and searching for more. Christmas is really all about Easter. The path to Calvary began in Bethlehem. This song strips my mind of presents, annoying family members, and loads of cooking/cleaning that I tend to get wrapped up in. I stop, fall on my knees, and Praise our Lord for loving me so much. You should get goosebumps while standing in awe of His gift, I know I do. Now that’s something to rejoice about. What if we left a little reminder out for us to see? This is a free printable I found online and I plan to hang it in my house for our family to see daily. What if you did the same thing? Placing it on our walls, mirrors, or dressers so we can keep our hearts present to the power of love shown to us?! 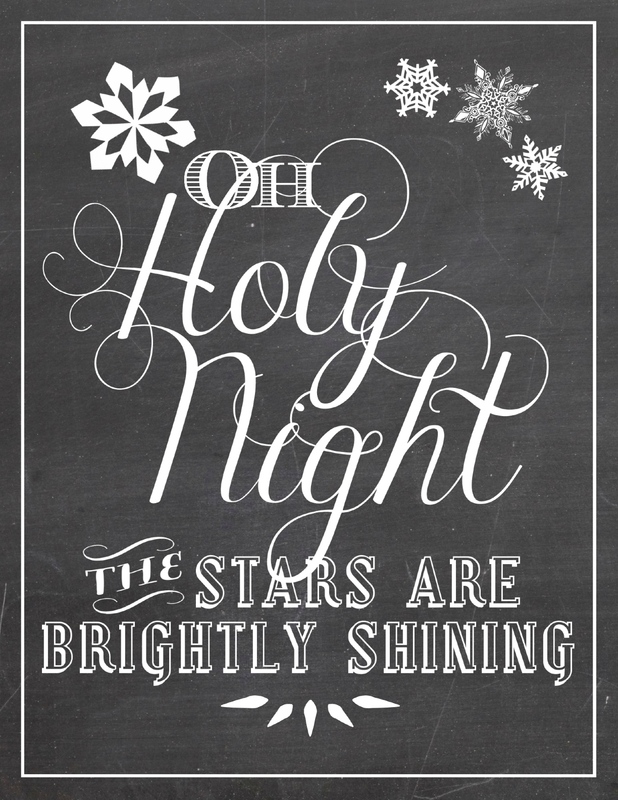 Let’s guard our hearts and stay focused on the ONE thing this holiday is all about, His Birth. What’s one way you keep the true meaning of Christmas present in your home? This definitely should be displayed during the holiday season, and year round.